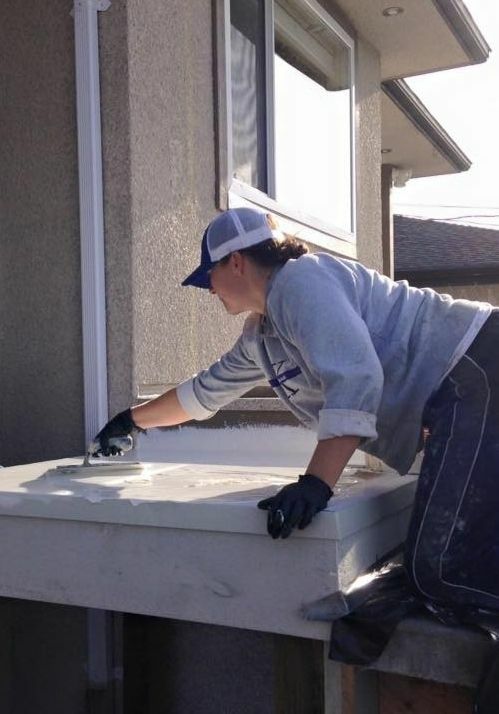 Laura is hard at work taking advantage of the sunny days in February on a deck in Burnaby, BC. 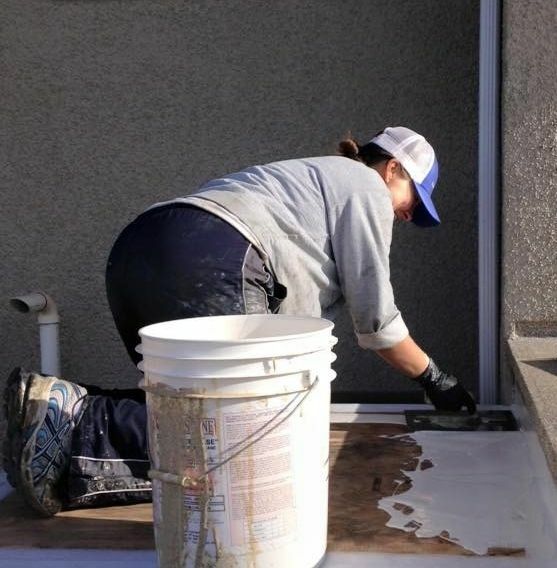 We're out there every sunny day of the year applying our waterproof deck coating on decks all around Vancouver and the Lower Mainland. Is your sundeck ready for spring? Its such a good feeling in February to have the sun on your face. Its been raining for so long now that we almost forget how it feels. The warm glow on your face reminds us that spring is on the way. And while we think about spring we should also be thinking about how we are going to enjoy our outdoor spaces this year. If a sundeck is part your plan and its not in the best shape then it may be time to have us check it out. Will you be ready to enjoy it? We want to help every homeowner to use their outdoor spaces to their full advantage. If you’re scared to go out on your deck because it is unsafe or rotten and gross looking to the point where you wouldn’t want to spend any time out there then it is time to clean it off and get it fixed. We are ready to come check to your outdoor space and offer advice on the best way to reclaim it and restore it to its original beauty. Get out and enjoy your sundeck! Our decks last! Its not uncommon to have to replace vinyl in under 10 years. Usually Because of ripped seams or tears in the surface area. OmegaStone provides a 100% seal under patio doors, stucco or any siding! Our product is made to last. Omega Stone has four layers of waterproof protection for your deck surface. No water will ever again touch the surface of your deck.